Everyone’s up in arms about the NSA collecting records of every Verizon phone call, revealed by The Guardian and nicely summed up by The New York Times. But it’s good to see the humor in things. 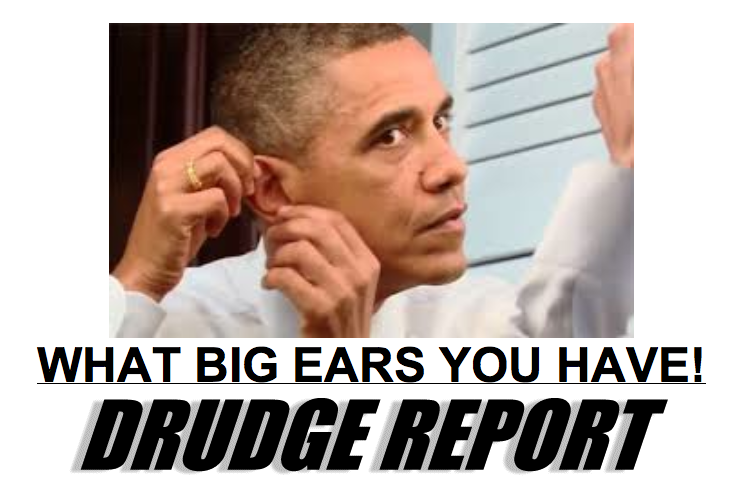 First, there’s Matt Drudge’s wonderful hed (above). My friend Jelisa Castrodale writes on Facebook . . . If the NSA does scan my phone records, they’ll realize that, for the past eleven months, I’ve been on hold with Time Warner Cable. All in all, not a fine day for this administration. The top two leaders of the Senate Intelligence Committee said today that the widespread monitoring of phone records revealed by Wednesday’s Guardian report has been going on for years and that Congress is regularly briefed about it. Sens. Dianne Feinstein and Saxby Chambliss also defended the National Security Agency’s request to Verizon for all the metadata about phone calls made within the U.S. and from the U.S. to other countries. Rep. Mike Rogers, the chairman of the House Intelligence Committee, said today that phone records obtained by the National Security Agency “thwarted” a domestic terrorism plot “in the last few years.” His committee is working to declassify information on the plot, he said. 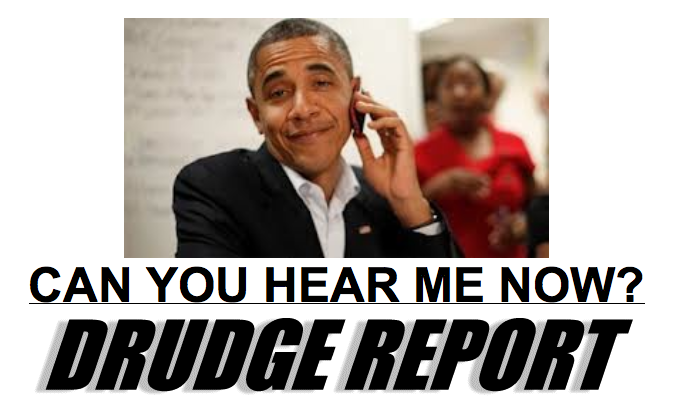 This entry was posted in Politics and tagged NSA, Obama, Verizon, wiretaps by stephenbromberg. Bookmark the permalink.